Hello! This is Emily posting here! Did you all miss me? It’s great to be back on the boat! Carol and I flew into Nassau yesterday afternoon and met up with Gary and Kris at the Yacht Haven Marina. 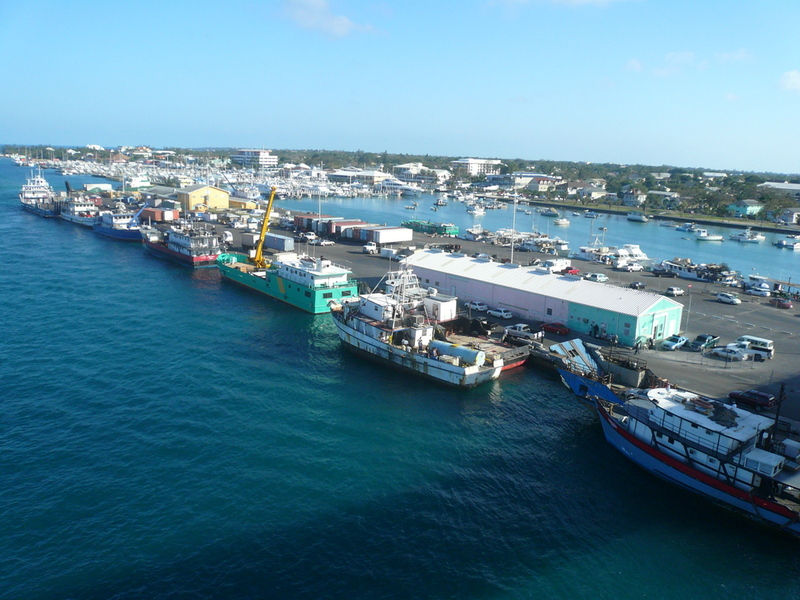 Nassau is certainly a busy island city! Cars are constantly going faster than the 25mph speed limit, beeping and shouting to the people walk about everywhere. Everyone seems to know one another around here. Well, it is an island after all. I do love the colors of the city though. Having come from the white and frosty world of Ohio, Nassau, and the Bahamas in general, were a feast to my eyes! Green, blue, and bursts of colorful flowers. It’s like the world was remastered with Technicolor. 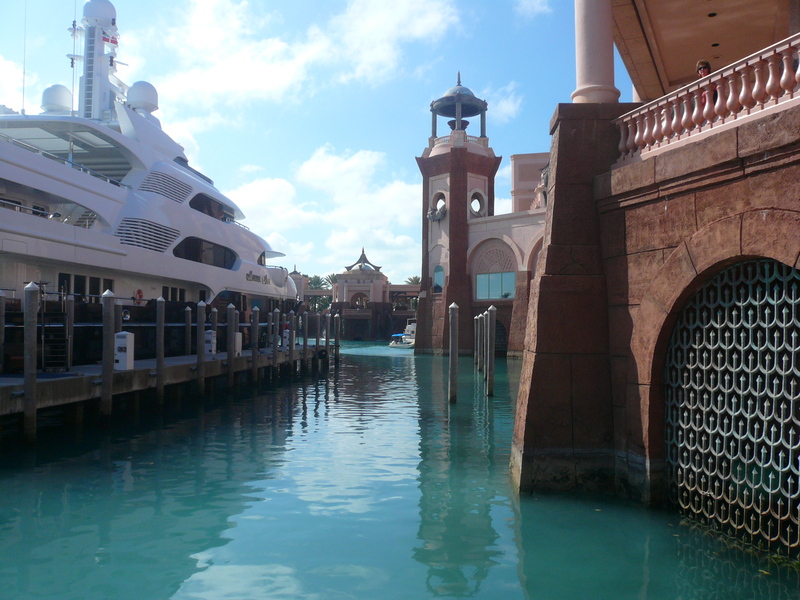 Today we explored the Atlantis Resort on Paradise island, which is right next to Nassau. I will describe it in a few words. Fancy. Expensive. Exclusive. And, according to Kris and Gary, “hoity toity”. It was very nice, if you have a lot of money to spend on your vacation. There is plenty to do: visit the aquarium, swim with dolphins, go see a movie or a comedy show, shop at the multitude of shops at the resort, or place a couple bets at the casino. The whole resort reminded me a bit of a Disney World resort…minus the giant character actors and plus a giant casino. We are planning to sail to Allens Cay tomorrow morning. We may not have internet for the next few days, but I will be sure to post here when we do and tell you all about it. Wish the good winds are way!